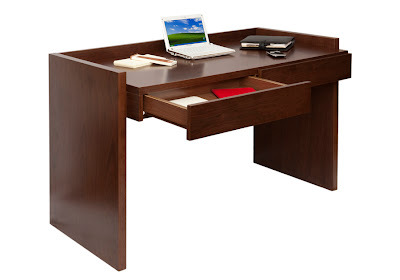 The fabulous Brisco Walnut Desk has it all. Rich walnut veneers, retro modernist styling, plenty of storage space AND it is reduced from £260.98 to £94.98 (including delivery), while stocks last. 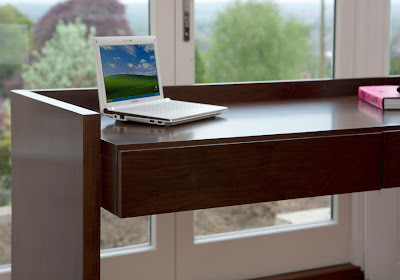 Visit our website for more details... furniture123.co.uk/Brisco-Walnut-Desk. 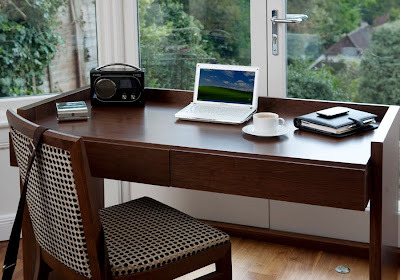 The beautiful Brisco Walnut Desk is perfect for a study, home office or small office space, and at £94.98 (including delivery) it won't blow the budget. 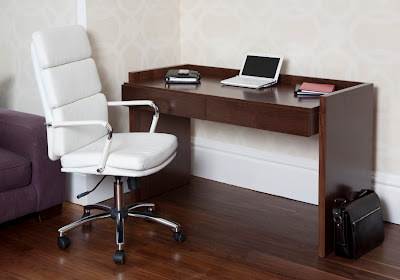 Why not push the modernist styling angle and pair this desk with a Miller White Executive Chair (available here) to create a full on 'Mad Men' retro look. 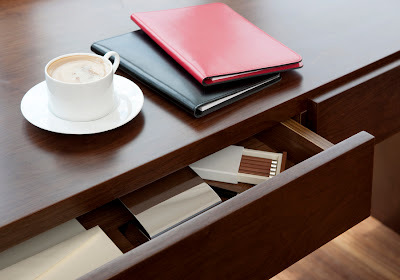 The two large stationery drawers and large contained work space will help you to stay organised. 2 cable tidy ports in the corners also mean the end of messy wires. This contemporary desk is finished with rich brown walnut veneers with an additional clear lacquer for the perfect finishing touch. If you're tired of cold metal and glass desks and fancy something grander in your office, the Brisco Walnut Desk could be just the thing for you. But hurry, at just £94.98 (including delivery) they won't be in stock long! Pin It Now!